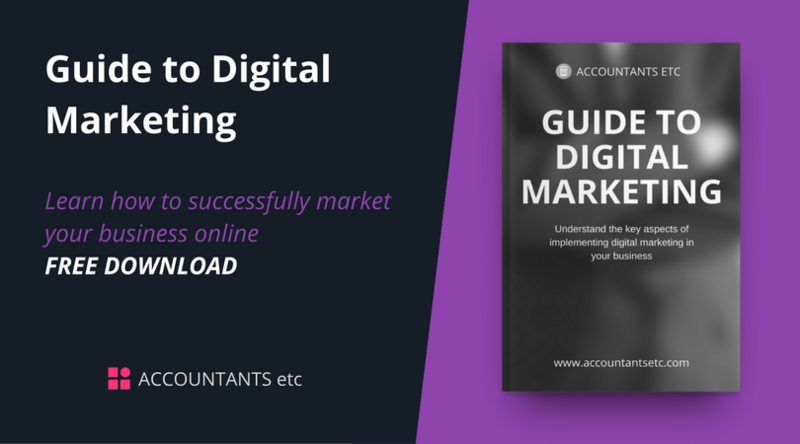 The guide below provides useful information on implementing digital marketing strategies within your business for growth. "If you build it he will come." In the classic movie Field of Dreams, the character played by Kevin Costner keeps hearing the same message. "If you build it he will come." Eventually he rips up the corn field by which he makes his living and builds a baseball field and Shoeless Joe Jackson and seven other members of the Boston Black Sox team from 1919 appear, as if by magic. It is fantasy, and real life is, of course, not like that. You may well build it, but that is not enough. If you want them to come then you need to get a handle on digital marketing. Digital marketing, the promotion of products or brands via one or more form of electronic media, is different from traditional marketing because it uses methods that enable a business to analyse its marketing campaigns and understand that is working and what is not - quickly. Consumers now have access to information any time they want it and just about anywhere they want it. It is instantly available. Long gone are the days when potential customers only heard about your products and services from you and consisted only of what you wanted them to know. Digital media is an ever-growing resource - and it is not going away, It is a vibrant source of entertainment, news, shopping and social interaction, and consumers are now exposed not just to what your company says about your brand, but what the media, friends, relatives, peers and customers are saying too. And the reality is that those people are far more likely to believe what others say than you. People want brands they can trust, companies that know them, communications that are personalised and relevant, and offers tailored to their needs and preferences. Digital marketing and its associated channels are important – but not to the exclusion of all else. Knowing your customers is one thing, but it is not enough; you have to know them better than anybody else so that you can tell them where, when and how they are most receptive to your message. To do that, you need a consolidated view of customer preferences and expectations across all channels – web, social media, mobile, direct mail, point of sale. Marketers can use this information to create and anticipate consistent, coordinated customer experiences that will move customers along in the buying cycle. The deeper your insight into the behaviour and needs of your customers and their preferences, the more likely you are to engage them where it really matters. This is the first step for your online business and it can also be one of the most time consuming. What form will your brand take once it becomes ready to go digital? How will you define your online audience? Identifying the right sectors for your potential audience will help you determine the online channels in which you want to invest. It will also help you to identify and develop your online strengths, something you will want to base your content on. In this Accountants etc. guide we will cover the importance of benchmarking yourself against your industry so you can decide where you might be lacking in terms of your digital output. For most people, SEO is all about getting more traffic, and thus more business, to your website. There is more to it. Through SEO, starting, developing and sustaining an online business will require that you adopt the best strategies and tactics to ensure that your site becomes highly visible in all search engines. These strategies include offsite and onsite optimisation and brilliant content. If you are starting out with your own SEO strategy, you need to survey your online influences, competitors and your unique customer activity, which will allow you to establish search optimisation techniques that will have a significant effect not just on online traffic, but targeted, quality traffic. Content is all important. It is what fuels both social media and SEO processes and these two fronts are extremely powerful when used in unison. Getting the right content in the right place is crucial, so you must understand what type of content you need as producing quality content and promoting it is the be-all-and-end-all of digital marketing. Content requires time and effort to produce quality pieces that will be engaging so you need to take the time to consider the resources, who will produce the content, who will monitor it, where will you distribute it and how questions related to your business are answered. It is not easy to keep track of online marketing and it is difficult to provide Return on Investment (ROI) data if you don't know how to collect and analyse your online data. There is the set-up process, setting goals, segmenting your audience and creating custom reports to show you the data you need to make the right decisions for your business. It can be daunting to sift through the vast amount of data that is available, so need a system that will help you to identify the information that is especially relevant to your business. Identify experts who will help you to set up and control your Google Analytics and provide you with the insights that will tell you what your web and social media data means. If you have the right information, you can plan and execute your strategies with precision. Using social media for your business will provide significant results in the long term, but first you need to determine the best social platforms for your business. There is no point using the likes of Pinterest or Instagram if your business does not have access to visual content. You will also need to decide what resources you will have to dedicate to social media, both in terms of people and cost. Social media will give you results, but only if you dedicate time and effort to it. Once you have the channels set up and processes in place to manage engagement and the distribution of appropriate content via a social media planner, you will quickly discover that social media can be a rewarding and enjoyable tool within you digital marketing plan. Pay Per Click is one of the most reliable marketing tools because you pay for it and it produces results quickly as you are targeting people searching for specific keywords, but it can also be a waste of money if you don't use it properly. The first step to Pay Per Click is to determine exactly where your opportunities are, doing keyword research around your products and services to determine search volume, the cost per click of your keywords and the competition levels for those keywords. Will you have to outbid too many people if you are aiming for a high competition keyword? Should you consider placing ads in related blogs and websites through the Google content network? Will Facebook or Yahoo serve you better? When you have made up your mind which paid advertising channel is best for you, what your budget is, what your objectives are, how you are going to measure them, you are ready to get started. This is an area that is best implemented by involving a partner because of its complex nature so take this into consideration when deciding whether Pay Per Click is really right for you. After you have driven the right people to your site, the key thing is to ensure that they become paying customers. How do you make sure that your traffic is not wasted? Conversion optimisation tackles the design and content elements of your website and tweaking it to ensure that more people will take the next step. The key here is to understand what brings your audience to your page and to ensure that they will click on to where you want them to be. So what makes them trust you with their personal information? There are a number of factors involved and implementing Conversion Optimisation techniques will improve your site’s performance, your conversion rate and your bottom line. Conversion Optimisation is the only way to gain improved ROI and increased performance online without having to spend more money on advertising. Mobile devices have boomed and are now a major slice of the digital market pie. Is your online arm ready to accommodate all the different mobile devices and users? It’s you know the best solutions and understand what makes a good mobile strategy that is unique and different from the usual online strategies if you want to grow. Mobile solutions work hand in hand with traditional types of online marketing strategies, but you must do more than simply making sure your website is designed so it is easy to view and use on mobile platforms. You should include mobile content, mobile advertising and mobile conversion optimisation. The content of your site and its optimisation are affected by website factors. Important technical site factors are the basis for most of your online strategies. Creating a strong site is creating a strong marketing foundation. There are so many elements you can include, so one of the big challenges is knowing what to keep and knowing what to get rid of. Email marketing can be more personal than social media marketing and can solidify old bonds with your long-term audience. It is greatly enhanced by social media. Consumers use many different digital channels and a whole variety of devices that use different protocols, specifications and interfaces – and they interact with those devices in different ways and for different purposes. You need to tap into that. Digital channels are relatively cheap, especially when compared with traditional media, making them within reach of practically every business of every size, small, medium or large. As a result of this it becomes more difficult to capture the attention of existing and potential customers and consumers. Consumers leave behind a huge trail of data in digital channels. It’s extremely difficult to get a handle on all that data, as well as find the right data within exploding data volumes that can help you make the right decisions. How do you get your digital marketing right? Manage complex customer relationships across a variety of channels – both digital and traditional. Respond to and initiate dynamic customer interactions. Extract value from big data to make better decisions faster.